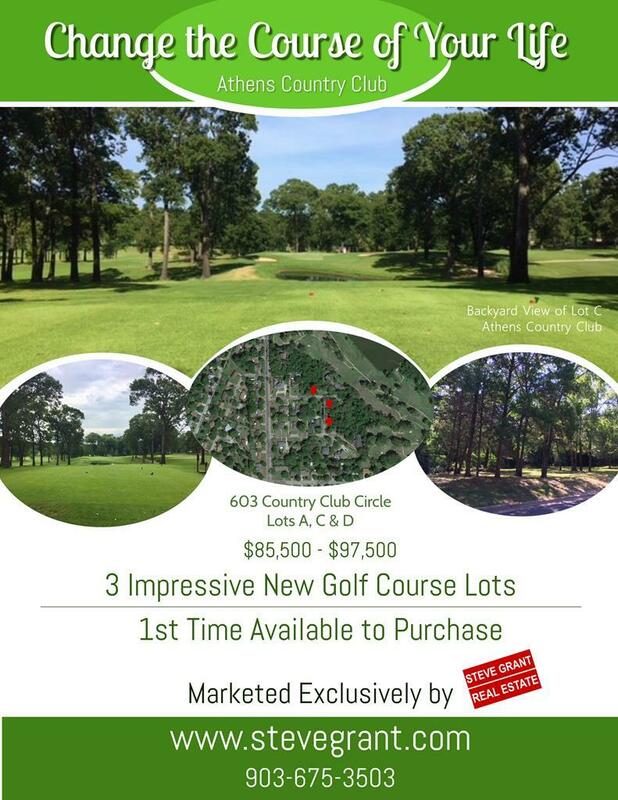 COUNTRY CLUB CIRCLE - Wooded lot adjacent to Athens Country Club and Golf Course with view of Holes 13 and 14. Truly a rare offering in the highly regarded Country Club Place Addition. Located on a circle drive, lot is simply beautiful with mature trees. Additional lots available for sale - See Broker for details. Click on Virtual Tour for brochure.